Avanti understands how we wish to live now because it’s based right here in Australia with an understanding of our relaxed way of life. Avanti has over 20 years of experience of catering to our unique culture. 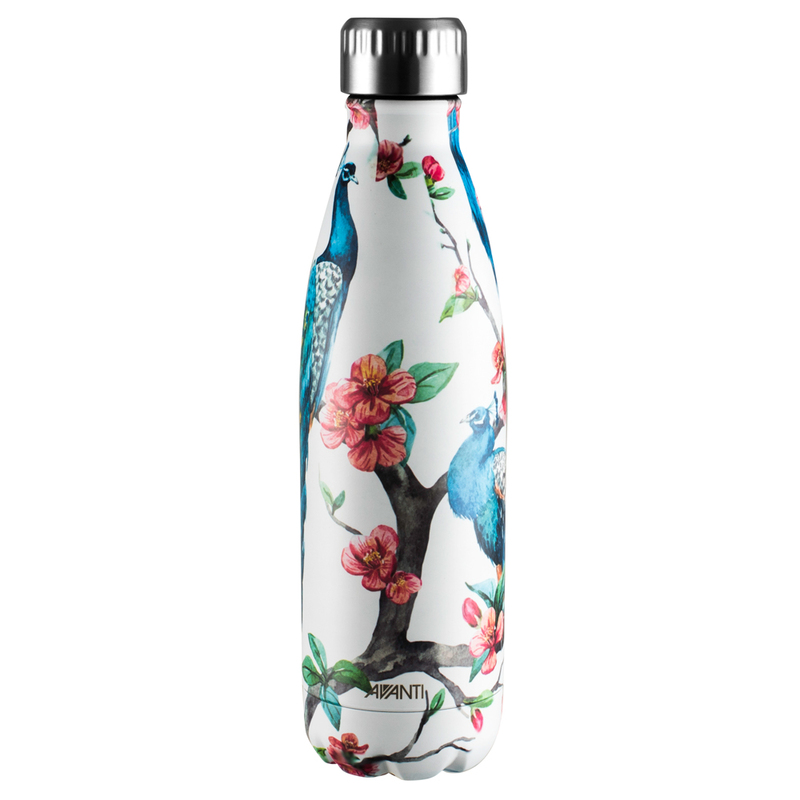 So, when it comes to creating the coolest drink bottle, naturally Avanti come to the fore with interesting patterns that not only do the job brilliantly but adds sparkle to the day. The Peacock White Drink Bottle is pure fantasy with beautiful creatures strutting around amid delicate blossoms. It’s sure to make a splash whenever you bring it out. Crafted from 18/8 stainless steel, it will keep drinks cold for 24 hours or hot for 12 hours. You could take a few sips during your morning commute and still enjoy the rest piping hot at your desk. Now that's a nice break.